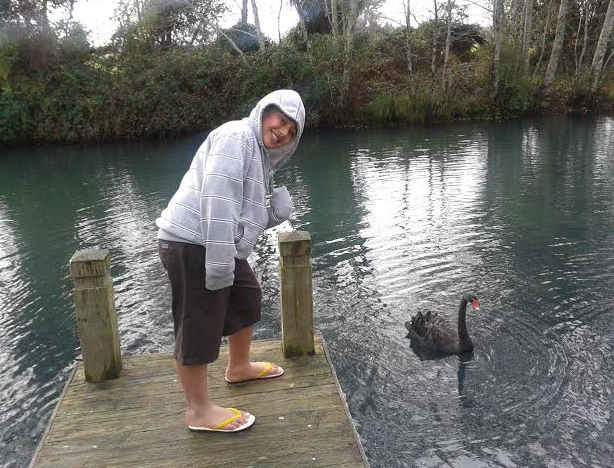 In the school holidays, my family and I went to Rotorua, to relax. We stayed in a small apartment that had three bedrooms, but me and my brothers room was the only room with two beds. We had electric blankets, they kept us nice and warm. I was as warm as a teddy bear. Our apartment was next to the lake. There were heaps of ducks and one big swan that I was scared of. Hi my uso! You forgot to mention how dad was the champ at tennis! And also how nice the hot spa was! I'm looking forward to our next holiday. Where would you like to go Justus?